Green, versatile, dependable — this pencil has it all! Manufactured using 72% post-consumer waste, the pencil attaches with ease to binders, books, legal pads, and pockets because of an extra-wide clip on the barrel. 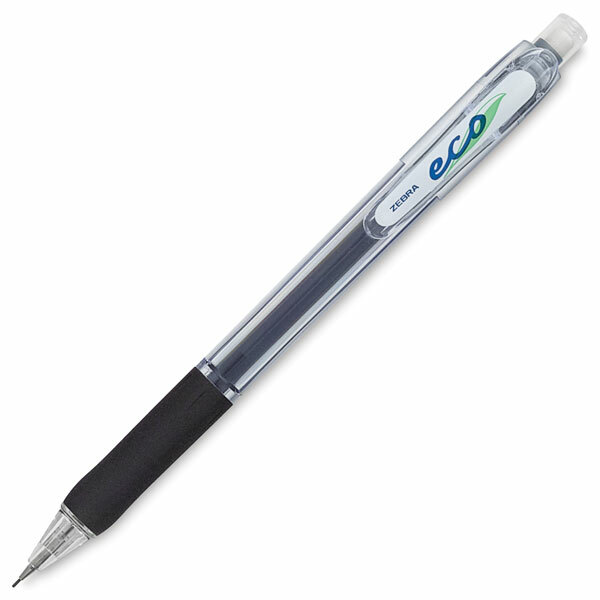 Features include a retractable tip, a smoked see-through barrel for lead supply visibility, a cap-covered eraser, and a soft rubber grip. The pencil is refillable and uses 0.5 mm lead. ® Zebra is a registered trademark.® Jimnie is a registered trademark.